Jon Jones is the UFC Light Heavyweight champion and one of the most badass fighters on the planet. He’s also a little bit internet-nutty about his four cats. As proof of this, Sarah went through Jones’ Instagram account to find all the posts he made about his cats. There were a lot of them. 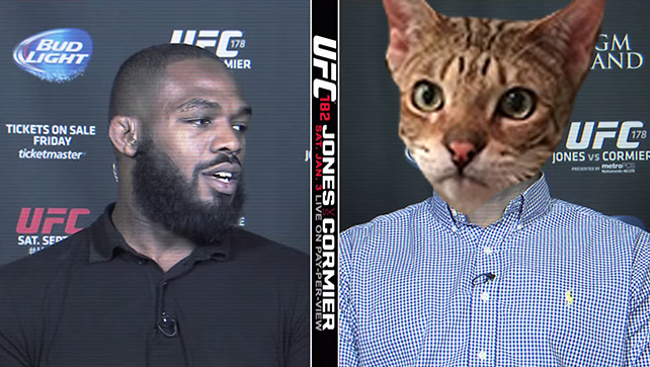 To see Jon Jones’ 75 Instagram cat posts from 2014 ranked, head over to Fightland by going here.